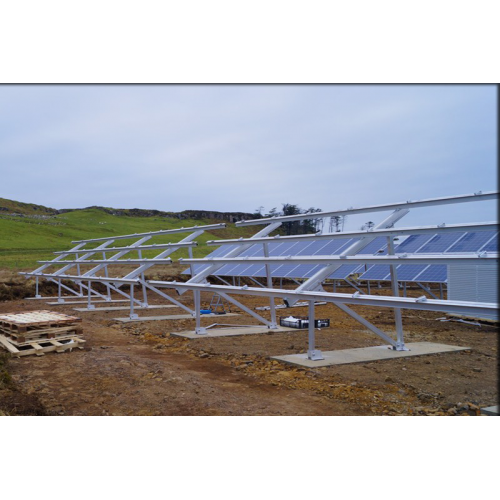 Designed to maximise wind & snow loading whilst keeping costs to a minimum a complete structural analysis and design for the mounting system is provided upon receipt of details of installation site & location. 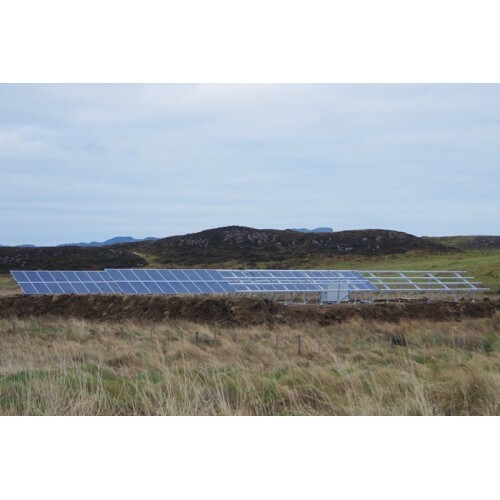 PvMax3 UK4kW is an easily installed ground mount system that utilises two rows of eight panels in a portrait alignment to create a 4kW ground array on concrete footpads. Two systems have been pre-designed, one for the North of the UK one for the South. Usually concrete strip foundations are used that can consist either of pre-cast concrete blocks or can be made on site. Other foundations are possible such as piles or screw in foundations depending upon ground conditions. 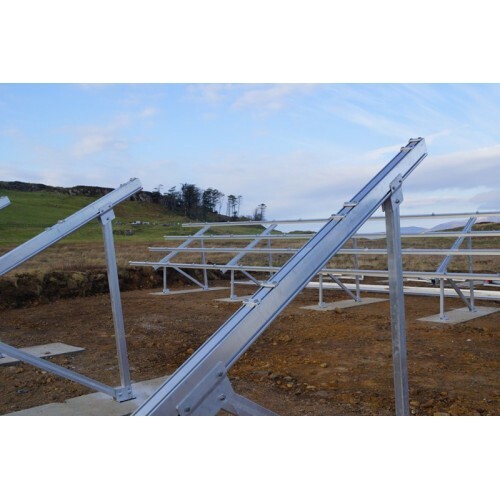 Sturdy aluminium supports are fastened to these which carry aluminium crossbeams to which the PV modules are fastened. All materials are made from durable aluminium or stainless steel. Strong cross beams permit large span lengths.